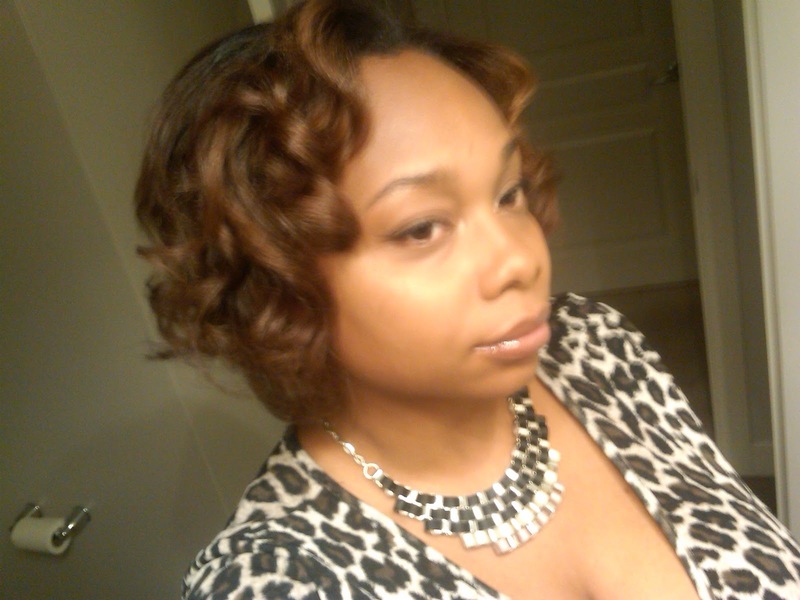 The Jen Chronicles - Relaxed Hair : Introducing My Sister! My sister has recently decided to start a hair journey! She came to me to talk about healthy hair practices and the steps that should be taken to help her grow out her current neck length bob to longer lengths (around armpit length I believe). She even agreed to be on my blog as a feature and so that we can track her progress :). Last weekend I visited her at home and we did her first wash. Janelle did a pre-shampoo treatment with coconut oil, washed with the Organix Moroccan Argan Oil shampoo and deep conditioned with the ORS Hair Masque for 20 minutes with a plastic cap and heating cap. She then applied leave-in (Garnier Fructis sleek and shine leave-in conditioner), air-dried and we discussed detangling techniques and how to air-dry smoothly (she chose to use Sunshyne from Hairlista's air-drying method). I think it's looking great so far! I'm so excited to help her with her journey and I look forward to seeing her amazing progress over the next few months :). very cool... I hope she progresses well!!! She says thank you :)! Hi Jenna, was just wondering how you get your hair to be flowy and silky cause after I wash my hair, it gets really stiff. Hi hun. My hair used to stay stiff, so I know how you feel. My hair really started to get flowy when I got a handle on my moisture/protein balance. I can usually tell when my hair isn't balanced because it instantly stops flowing. I would suggest a good moisturizing deep conditioning as a place to start. I would also suggest that you try to avoid really heavy styling products, moisturizers and oils which can also weigh your hair down. You can send me an email if you'd like to talk more. Hope that helps :).